Your daily scoop of what State of the Union is watching today, February 20, 2014. 1. Ukraine's truce collapses. At least 100 people are reported dead and 500 more injured from violent clashes after Ukraine's hours-long truce with anti-government demonstrators crumbled. Demonstrators claim they're being targeted by snipers, while the government is accusing protesters of taking some police officers hostage. European Union officials are in Kiev for talks with both sides and Russia is sending a mediator for negotiations even as it blames the unrest on demonstrators. A senior Obama administration official says U.S. sanctions against Ukraine are being "fast-tracked" and President Obama has warned the Ukrainian government of "consequences" if the bloodshed continues. Could the Ukraine crisis be turning into a proxy war between the U.S. and Russia? 2. Christie's town hall. For the first time since G.W. bridge controversy erupted, New Jersey Gov. 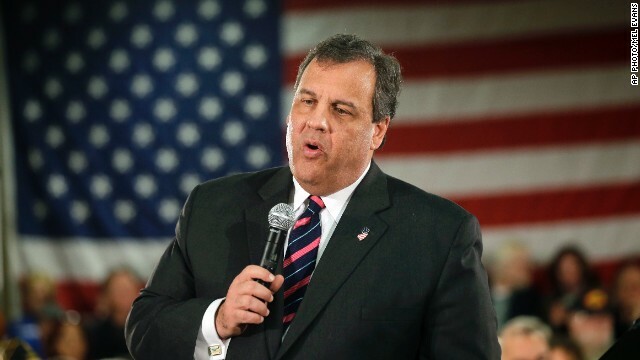 Chris Christie, faced questions from New Jersey residents Thursday. It turns out, he wasn't asked about the scandal. Instead, Christie answered questions about Superstorm Sandy aid, his weight loss program and why he won't destroy his Bruce Springsteen CDS. "I don’t think I have ever been under the illusion that as a Bruce fan of his music that that meant that he and I were necessarily simpatico on a number of other issues," said Christie. "I still live in hope that someday, even as he gets older and older he is going to wake up and go `he’s a good guy. He’s alright." 3. Cruz: GOP leaders engaged in "trickery." Sen. Ted Cruz, R-Texas, is accusing Republican leaders of playing tricks in the recent debt ceiling vote. "What Republican leadership said is we want this to pass, but if every Senator affirmatively consents to doing it on 51 votes, then we can all cast a vote no and we can go home to our constituents and say we opposed it," Cruz told CNN's Dana Bash. "And listen, that sort of show vote, that sort of trickery to the - to the constituents is why Congress has a 13 percent approval ratings." Cruz annoyed many Republicans by blocking the debt ceiling vote, forcing some of them to break his filibuster. "I don't want to throw any Republicans under the bus. I would like to see all 45 Republicans stand together and actually do what we tell our constituents," said Cruz. 4. Tea Party group to Boehner: We're looking at you. One Tea Party group is making House Speaker John Boehner the issue in this year's midterms. The Madison Project says it will not back any Republican candidate who supports Boehner as the GOP's top leader in the next Congress. "Rubber stamping the omnibus bill, the Farm Bill, and debt ceiling while pushing for Obama’s immigration priorities represents just the latest indication that Boehner would rather fight us than Obama,” Madison Project policy director Daniel Horowitz told the Daily Beast. Boehner isn't exactly thrilled with outside conservative groups who've been putting pressure on Republican members of Congress. He said after last year's government shutdown that they had "lost all credibility." 5. Washington loves House of Cards! It seems members of Congress are just fine with the megahit Netflix series. even if it does portray Washington as a den of ruthless, self-serving characters. As the show's fans binge on season two, some lawmakers are using it to promote their causes. For instance, Rep. Louise Slaughter, D-New York, sent out press release that noted a House of Cards reference to her effort to kill a Pentagon brochure about sexual assault. And a group of congressmen have made a video in which they quote lines from the series' lead character Frank Underwood, played by actor Kevin Spacey. President Obama is a big HOC fan as well. It turns out the series has a thing for Candy Crowley and State of the Union. She and SOTU set have cameos this season. *And a note, this is the 50th installment of our SOTU Scoop.